Present state: The station building survives as a private residence although it has been substantially altered and extended. Freight traffic was always more important that passenger traffic. When the line opened, there was a passenger service between Chester and Hereford but this didn't last long and was soon replaced by a purely local service running between Whitchurch and Chester or Rhyl. platforms. Connections were possible to Liverpool and the area became popular with many businessmen who commuted by train. The station master at Tattenhall during the late 19th century was well known for never letting a train depart if he could here a pony and trap approaching. 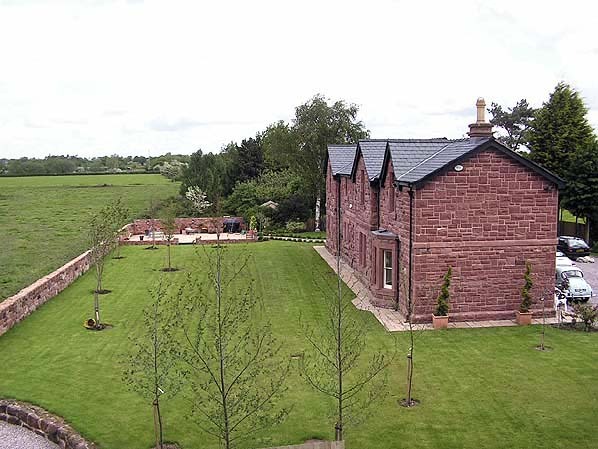 Tattenhall would be one of the very few villages in England that could boast of two LNWR stations both on differing routes; however neither were conveniently near to the village itself. 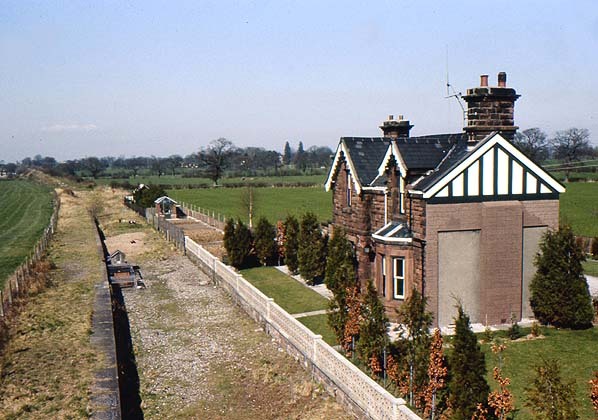 There were no goods facilities here, the yard at Tattenhall Road station on the main (Chester – Crewe) line serving the village despite its greater distance from it. Passenger train services were mostly of a local nature running between Chester and Whitchurch. Connections were possible to Liverpool and the area became popular with many businessmen who commuted by train. In 1922 there were seven daily trains in each direction, by 1950 this was reduced to five daily trains with an additional service on Wednesdays running through to Shrewsbury. There was never a Sunday service. Coal traffic from South Wales formed the bulk of early freight workings, probably passing over the branch at night en route for Birkenhead. Apart from competition from the GWR route from the Wrexham coalfield, there was also stiff competition from coastal shipping from the 1890’s and this traffic declined after the First World War. while an ever increasing amount of goods traffic switched over from cars to lorries. 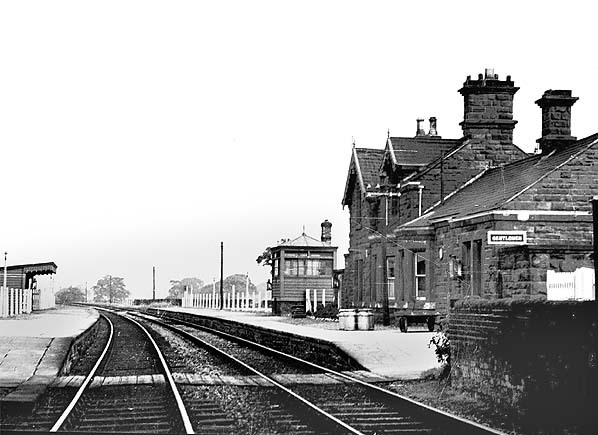 Passenger services were withdrawn from all the stations on the line on the 16th September 1957, although the line remained open for freight traffic which continued to use the line mainly as a corridor, latterly with oil trains from the Stanlow refinery on the joint Hooton – Helsby line accessing the West Midlands without the need to use the GWR route over Gresford Bank. The last freight was an oil train from Stanlow to Rowley Regis in January 1963 but local goods traffic continued until 4th November 1963 with both Broxton and Malpas remaining open. The track was lifted in c.1965. 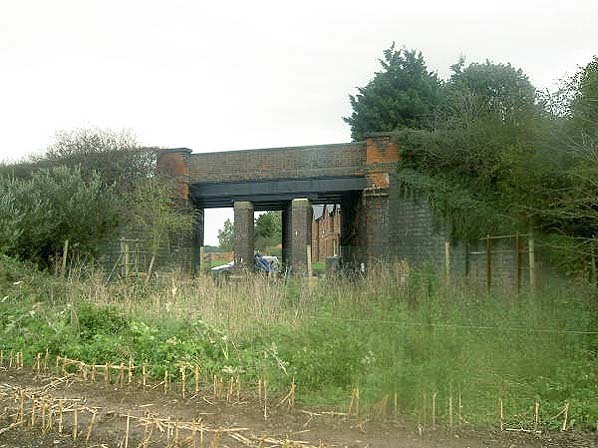 office and waiting room were demolished before the present owner bought the station in 2002..